Coming November 11, 2018. A trail run benefitting a very worthy cause. The Jim Schatz Memorial Trail 10K donates 100% of race proceeds to the Boulder Crest Retreat, a rural sanctuary where combat veterans, first responders, and their families, can enjoy recreational and therapeutic activities aimed at assisting with their physical, mental, financial and spiritual wellness. This year marks the 7th annual event that to date has raised more than $100,000 for this nonprofit wellness retreat. 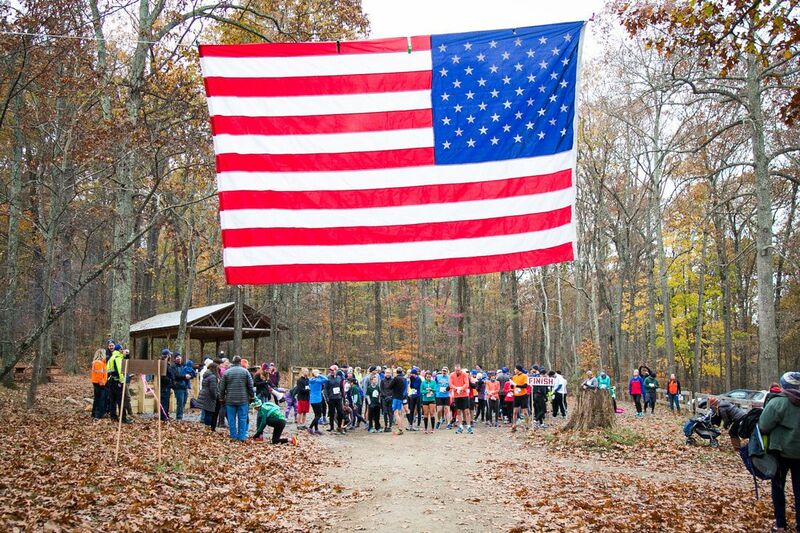 Participation is capped at 200 runners, and the course is hilly, muddy, and challenging along the beautiful trails of Camp Highroad in Middleburg, Virginia. One-of-a-kind, hand made medals are awarded to the top 3 male, top 3 female, oldest and youngest finishers. Sign up now for the Jim Schatz Memorial Trail 10K and help support this admirable organization.